IMPROVED sample preparation is promised by the new PBI Shredder SG3 from Cole-Parmer, a closed system device said to be ideal for molecular and cellular biological analysis. Intended for the extraction of DNA, RNA, protein, mitochondria, and small molecules, the shredder is operates by applying pressure to force the sample against a lysis plate in the tubes. This low-shear approach gives higher yields than conventional manual methods, says Cole-Parmer. A further advantage is improved sample integrity with longer intact DNA. Promising better reproducibility and lower sample preparation costs, this new device should appeal to research labs, forensics, cryogenics, medical diagnostics, and more. 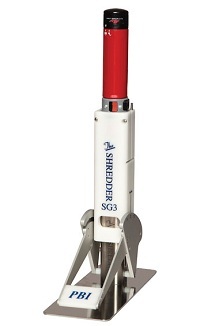 The PBI Shredder SG3 is compatible with standard buffers and reagents used in most laboratories, and includes rechargeable lithium batteries. The closed polypropylene shredder tubes prevent cross-contamination and guarantees safety when processing hazardous materials. An optional metal lysis disk is suitable for processing harder samples such as seeds or ticks.